Edwardian era in the West was a landmark for men’s fashion. The class that the people carried during that era is yet to be outclassed. Flowing Wavy hair puffs, stylish tuxedos, trippy shirts and the thumping rock n roll. Teddy Boy is bringing it all back, that too to India, across decades, across boundaries. The interiors at Teddy Boy are commendably done. With vintage walls and leather couches, there is an unbeatable chic element in everything there. This Gastro Pub doesn’t end surprising you with the interiors, the food is also equally awesome. 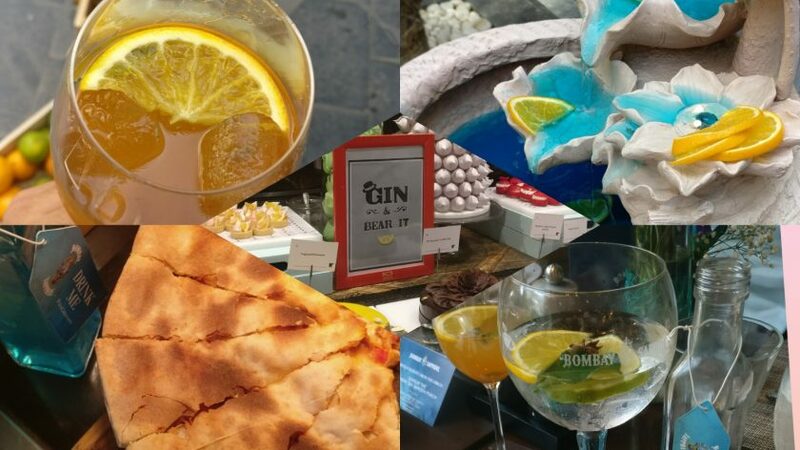 With a great influence of Coastal food, the Head Chefs have balanced the flavors and fused different ones to create some wonderful gastronomic experiences. 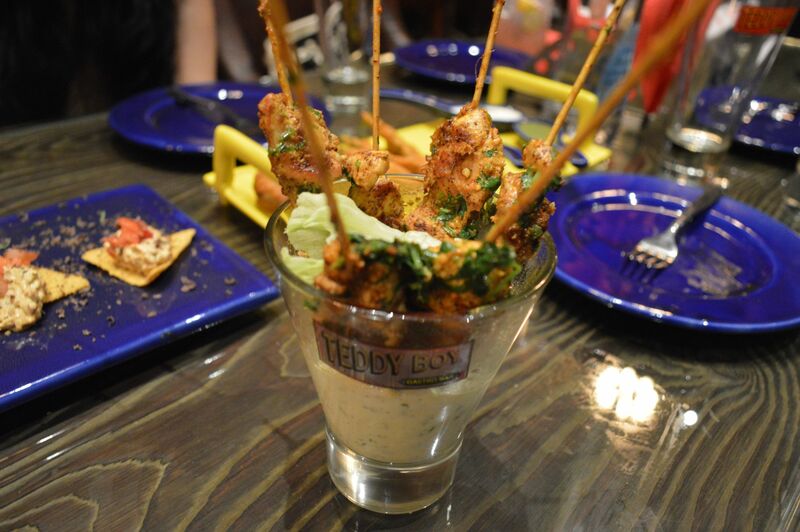 Who is the personality behind the awesome dishes at Teddy Boy? 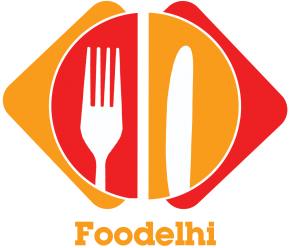 None other than Doyel Sarkar (Master Chef India Fame), is the head executive chef at Teddy Boy. 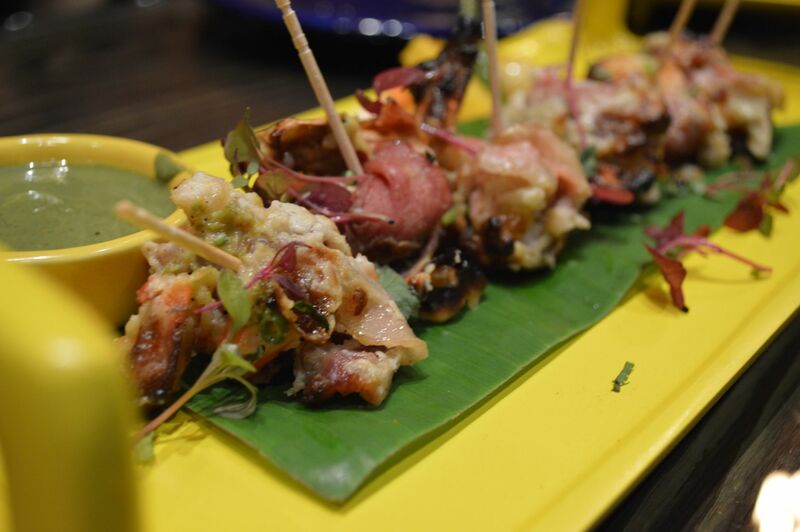 She has done some amazing things to prawns and these are indeed the highlights of the menu. 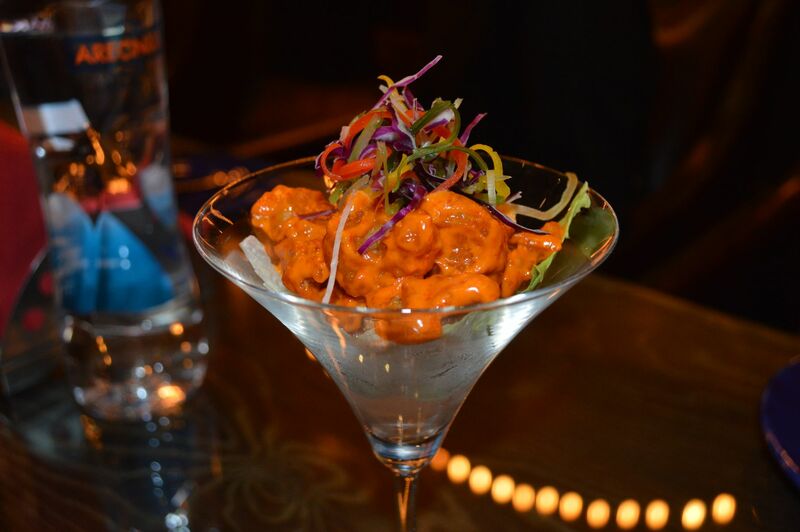 Mentioning the favorites first, The Schezwan Prawns (Teddy Fiery Prawns) are uhh-amazing. Good quality prawn meat tossed in the fiery oriental flavors. Malai Chingri, another Prawn dish, was an out and out WINNER! This one is Chef Doyel’s signature preparation served with beetroot rice. Well deserving so, many repeats were called for this one. This was nothing but delicious prawn meat cooked in velvety smooth malai gravy. When this was coupled with the beetroot rice, taste buds were invited for a fiesta. 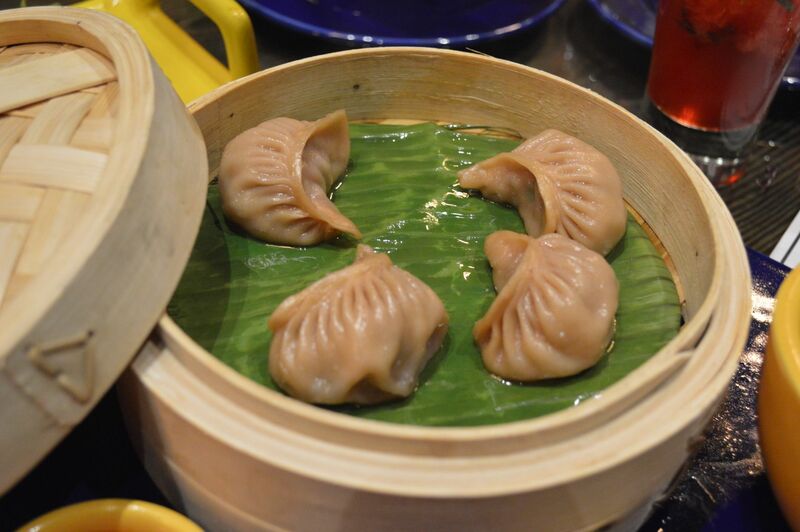 Momo lovers rejoiced when the deliciously juicy mutton momos were served. Tinny little pocket of yummy mutton mince, steamed to perfection. 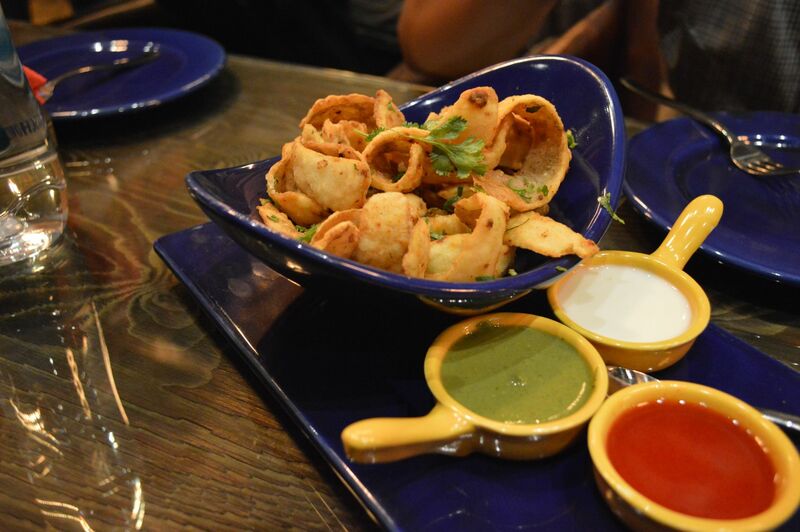 The Potato Skin Chaat: Lightly crisped fried potato skins, again served with savory chaat sauces. The Bruschetta wasn’t as per my liking. Their version is made on a tortilla chip instead of a bread slice. The Bacon Wrapped Chicken tikka again was nothing extra-ordinary. The flavors of both, chicken and bacon overpowered each other. 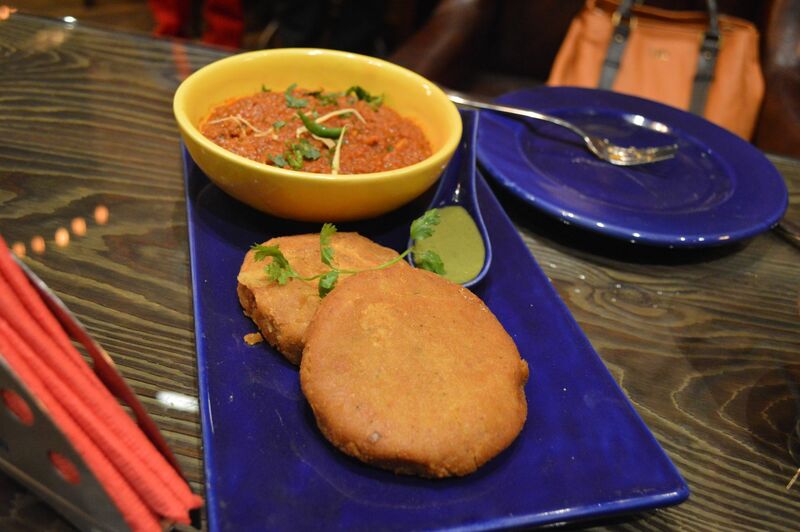 Keema Patties was a dish with an overload of yummilicious mutton keema made into patties and served with more keema (a bowl full of it). Loved this fiesta of keema. 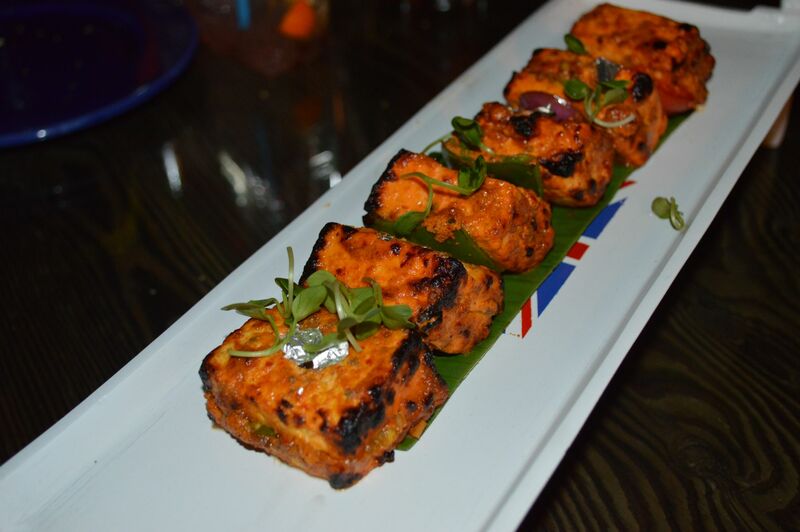 Below you see the delicious stuffed tandoori paneer preparation with Silver varq. This one was as delicious as it looks. A blessing for the paneer kebab lovers. 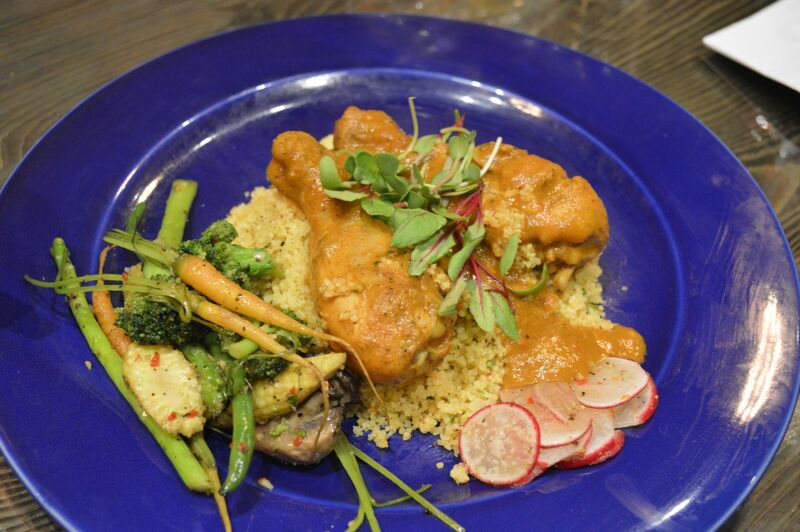 The promising looking cous cous with Chicken Marbella didn’t really translate into something super delicious for me. A bit overly salted, I gave this dish a pass. 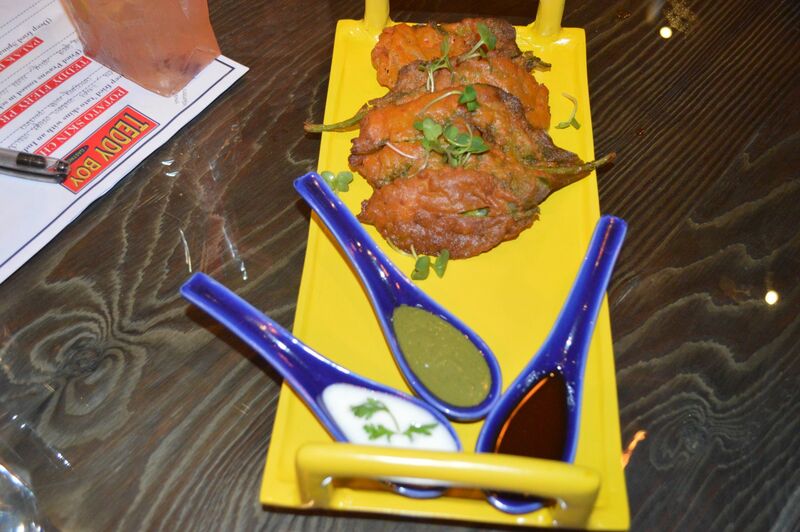 The Kasundi Chicken Skewers were laden with the pungent Mustard flavors. 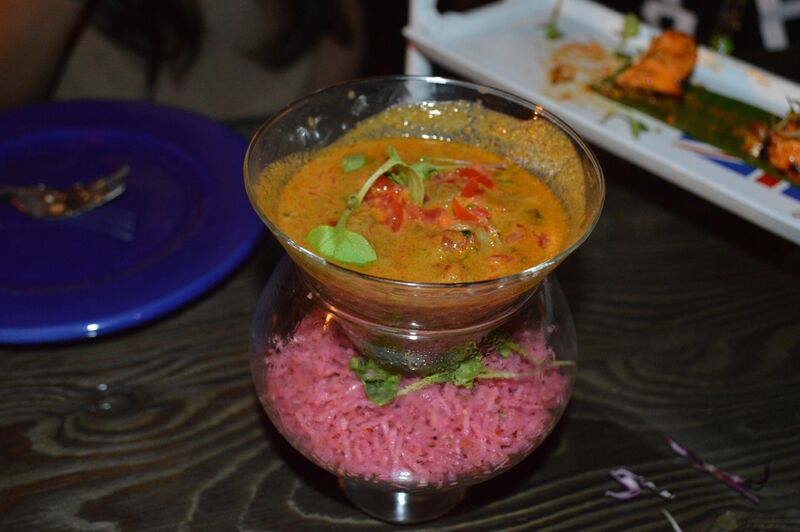 However, when coupled with the kasundi mayo with which they were served, the flavors were balanced in the right way. 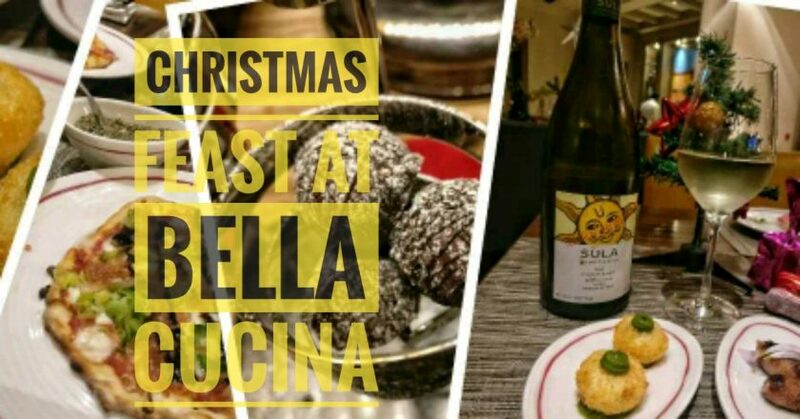 Something which only a master chef would’ve achieved (respect to Mrs. Doyel and the team). What if I told you that they serve the Iconinc Gol Gappa, as a dessert in Teddy Boy? Yes! I tried the chocolate gol gappa with Rabri Shot. It was indeed a delightful dessert. In the drinks, they were serving LIITs inside Thailis (plastic bags). The pomegranate LIIT was a fun cocktail to get the party going. All in all, some dishes performed, some didn’t. 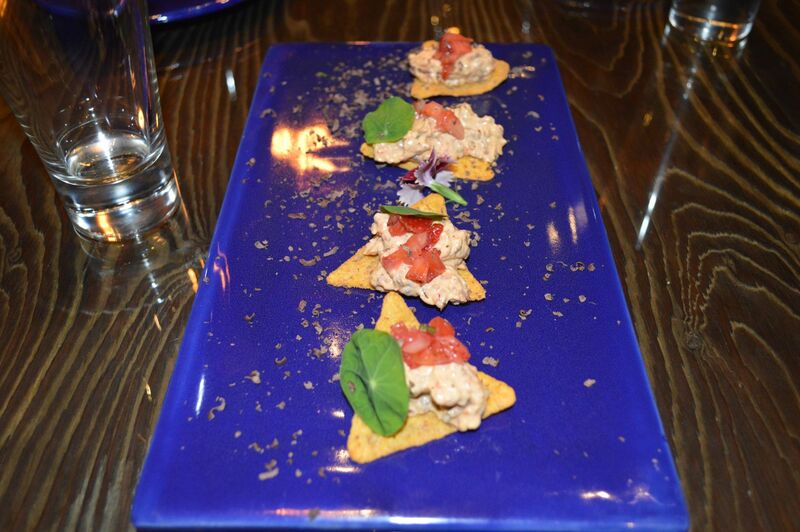 However, the overall experience of dining at Teddy Boy was indeed an extraordinary one. 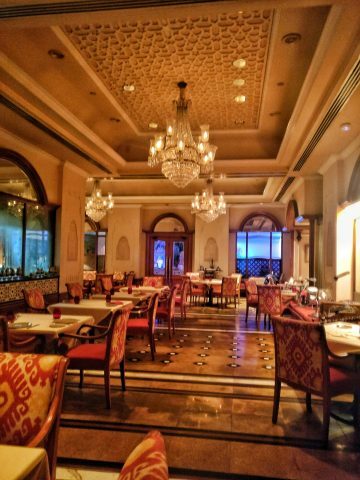 I would surely recommend a visit to this classy and chic restro bar in M-Block, Connaught Place.